Welcome to Howard’s School of Motoring. 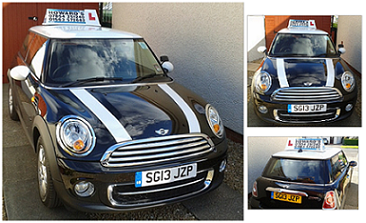 We are a driving school based in Kilmarnock and offer a full range of services to the learner driver. Our goal is to provide a quality service and help you achieve your driving ambitions. Learning to drive can be difficult and stressful. We will provide professional, relaxed tuition which we are sure will ease your concerns. We make learning fun! Check out our range of services and very competitive prices. You can also view photos and testimonials from some of our successful and happy students. If you have any questions or would like to book a lesson, we’d be happy to hear from you by phone, text, e-mail or use our contact form. Happy motoring. Instructor Howard Gray is an Approved Driving Instructor registered with the Driving Standards Agency.